The pronunciation of the names of some villages now differ from their original/ancestral pronunciation. Names of some villages are pronounced as if they are Douala villages. Furthermore, some villages are now called new names, for instance, the villages of Wokeli, Keka, Fo, and Liyengu Mboke have been renamed Saxenhoft, Tiko, Victoria and New Town Victoria/Limbe respectively. Victoria has further been renamed Limbe. (a). Wo = Wonya = children/descendants of, for instance: Wo-Njiya = descendants of Njiya; Wonya Nango = descendants of Nango. (b). In the Douala language Bona = children/descendants of, for instance:Bona Priso = descendants of Priso; Bona Endale = descendants of Endale. 03. Ewonda Ewonda (No change). 04. Buea (Gbweya) Buea (No change). 05. Likoko Membea Likoko Membea (No change). 08. Likombe Likombe (No change). 11. Sasse Sasse (No change). 12. Meveyo/Mevio Meveyo/Mevio (No change). 13. Gbwiyuku Gbwiyuku (No change). 14. Wonganjo. Wonganjo (No change). 15. Wolikova Wolikova (No change). 16. Wolikawo Wolikawo (No change). (i) Sofa Likoko. Soppo Likoko. (ii) Sofa Wovila. Soppo Wovila. (iii) Sofa Woteke. Soppo Woteke. (iv) Sofa Wonganga. Soppo Wonganga. (v) Sofa Mokongo/Sofo. Ndene Great Soppo. 19. Wokoko Wokoko (No change). 03. Kombo Kombo (No change). 04. Ekande. Ekande (No change). 05. Wolifamba wo Mbenge. Lower Bolifamba/Mile 16. 11. Molyko Molyko (No change). 13. Woteeva wo Nambongo. Boteva wo Nambongo. 14. Koke Koke (No change). 17. Wokulu Wokulu (No change). 22. Wokaka Wokaka (No change). 23. Mwangai Mwangai (No change). 25. Maamu Maamu (No change). (i) Muea mo Mbenge. Lower Muea. (ii) Muea mo Lelu. Upper Muea. 28. Liongo Liongo (No change). 29. 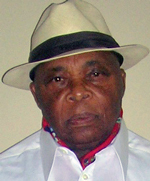 Wonya Mokumba. Bona Mokumba. 01. Wonya Likombo Bona Likombo/Mile 4. 03. Ewongo Ewongo (No change). 04. Wotutu Wotutu (No change). 12. Ekonjo Ekonjo (No change). 01. Etome Etome (No change). 02. Mbase Mbase (No change). 06. Wevonde Bebonde. The area is also called Idenua, or West Coast. 07. Sange Sanje (No change). 08. Enyenge Enyenge (No change). 03. Mofondo mo Valongi. Mpundu. 04. Ekona Mbenge Lower Ekona. 05. Ekona Lelu Upper Ekona. 03. Fo (later called Victoria). "Limbe" is the latest name for "Fo". (i). Following massive expropriation of most of the habitable and fertile ancestral lands of the Bakweri (1890-1914) by the German colonial administration in Buea for the establishment of plantations of banana, cocoa, oil palms, tea and vegetable, by the year 1900 the German colonial administration in Buea completely uprooted all the inhabitants of the village of Wokeli from their ancestral site, and then allowed the plantation called Saxenhoft to be established on Wokeli land. Each family of the now disbanded village of Wokeli then decided to re-settle in the new resettled villages of Ewongo, Wotutu, Woana, Meveyo, Gbwiyuku, Sasse, Wolikawo, Great Soppo. From that time until today, there is no longer a settlement known as the village of Wokeli. (ii)(a). The name "Tiko" is derived from the word "tikowa". (iii). The ancestral name of the town known now as "Limbe" is "Fo". The name "Fo" is derived from the word "Fooo". "Fooo" = far, very far from here. The British colonial administration renamed the town "Victoria". Then recently Cameroon Government renamed the town "Limbe". You have demonstrated your excellence in our culture. The following addendums could be useful in upgrading your list of villages in the West Coast of Limbe. I know there are many villages in my jurisdiction that you may have mistakenly skipped them, and these are the heart and core of West Coast. You ended your trip next to what we use to call mount Vetinde, west of Batoke. 10-11) Note - between Bibundi and Debundscha there are 2 villages with a sizable populations next to the coastline. I hope these addendums shall help in upgrading your new database. Thank you and over to you mola. Buea, Wednesday 08th February 2006. Names of Bakweri villages. Thank you for your email of 26th January 2006, and for your kind words. The list of 24th January primarily concerns villages in Bakweri clan, that is, villages in the customary court areas of Buea, Muea, Wonjongo, and Idenua. As concerns other clans in Fako Division, I have recently produced a list of villages in the then Victoria Division as at 1922-1946, that is, during the era of British Colonial Administration of Cameroon under the auspices of a League of Nations mandate. Like the list of 24th January 2006, the said list shows the names of villages that existed before the massive expropriations of ancestral lands and the displacements of populations by the German colonial administration in Buea, 1890-1914. People in every country receive the home loans in various creditors, just because this is easy and fast.